Nothing can beat the purely exhilarated feeling of stepping out of the salon with perfectly soft, shining, and bouncy hair after a blow dry. You feel ten times more confident and beautiful than usual, but doing it yourself never yields the same results. 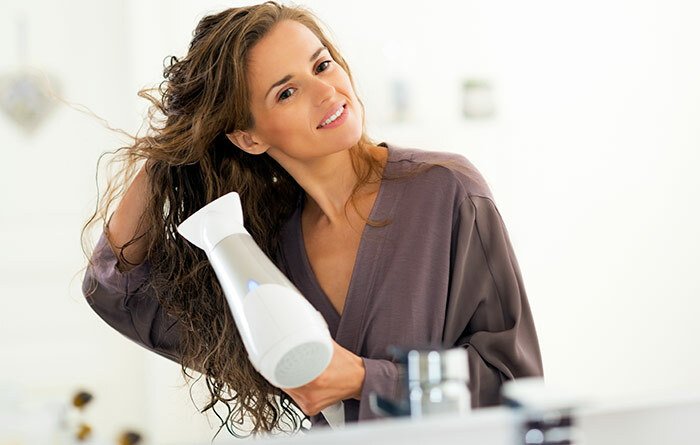 When blow drying, you need to follow a certain process to avoid hair damage. Lack of proper information about the techniques can leave you with dull, dry, and frizzy hair, which could also carry static, making it more prone to breakage. Here is a stepwise tutorial to show you how you can perfectly blow dry hair, and also create some added bounce when you have that little extra time on your hands. Shampoo your hair well so that no residue is left behind. The shampoo residue weighs down hair, thus risking hair fall and scalp irritations. After washing your hair, pat dry with a towel. It is never advisable to dry your hair aggressively with a towel. Separate your still damp hair into two sections on two sides – left and right. Set the blow dryer to the lowest temperature and highest wind power setting. It is best to buy a blow dryer that has at least three heat settings viz. low, medium, and high, and three wind pressure settings. You can bank on brands like Philips, Panasonic, and Remington. Also, spending a few extra bucks is better than going for one mode setting blow dryers. Start blowing on each side from the bottom by holding the hair dryer in a position such that the handle of the dryer faces downwards, and its mouth faces upwards, targeting the lower sections of the locks. How to blow dry your hair without causing heat damage? When the hair in the lower portion feels a little dry, change the direction of the dryer so that its mouth is facing downwards. Start blowing from the top and slowly move to the lower sections. Repeat this on both the sides till you feel that the hair in the top section is completely dry. If you just want to dry your hair normally, you can increase the heat setting to level 2 for faster drying, and to level 3 if you are in a hurry. If you want extra bounce and added volume with a normal blow dry, then use the lowest temperature and highest wind power setting on your blow dryer. Avoid using higher heat settings to prevent your hair from drying completely. Comb your hair slightly. Be very gentle as your hair is still wet. Now take sections of hair from both the sides and clip them on the top, leaving the rest below. Repeat the above step by holding the blow dryer’s handle upwards and blowing downwards along the sections that are left loose. Aim the dryer on the roots that are wet. Change the heat setting to medium and the wind power to lowest or medium. Do not focus the dryer on the roots for more than 30 seconds at each point as it can cause damage. Keep a minimum distance. Now blow dry hair, starting from below, with the mouth of the dryer facing upwards and the handle downwards. Comb your hair with a paddle brush or a comb when it is completely dry. Finish by misting a shine spray or serum from the mid shafts till the ends. 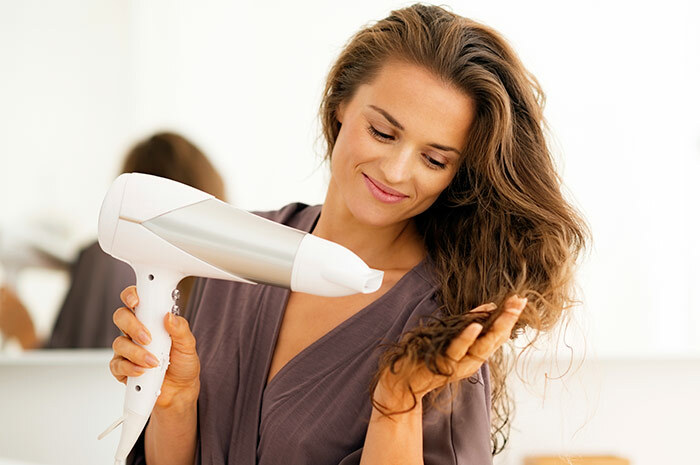 Whether you are blessed with thick or thin hair, blow-drying your own hair can really seem like a daunting task. But a simple tip can change all that! Just start to blow dry with organized hair can make a lot of difference. Start combing your hair and remove any tangles, then divide it into smaller sections to help dry every single strand of hair thoroughly and effortlessly. You can also use hair clips to separate the sections neatly and avoid any mess. The hair clips will hold up all the individual hair sections neatly, which you are not working on and make way for easy hair drying. It will also prevent wet hair from coming in the way of your “finished” hair—so that you get better results. 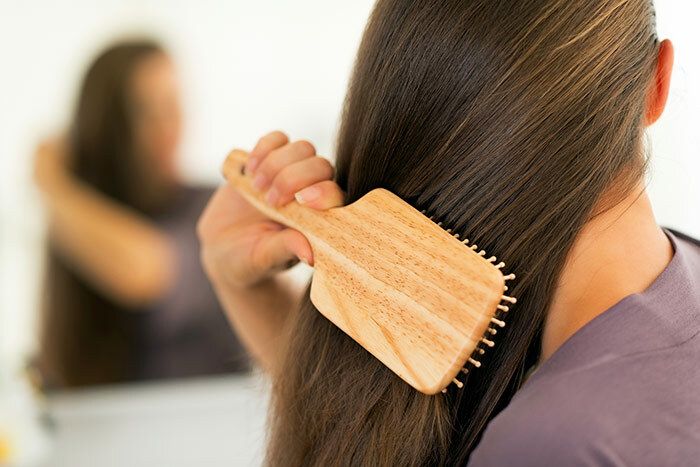 Hair brush plays a crucial role in hair styling. Avoid using heavy metal brushes as they have a tendency to heat up easily, and you might run the high risk of over-heating the brush itself, burning or over drying your hair, which will result in bad hair. So, choose a good hair brush, which is well vented and perfectly fits the needs of your hair. It is a great idea to look for brushes with wider spaces between the teeth as that helps in detangling the hair effortlessly. It is also important to make sure that you hold your hair brush vertically and blow dryer horizontally as it gives a neat and natural lift to the hair instead of making it appear flat. Then, gently blow your hair at the back and avoid doing it on the front, unless you have bangs. 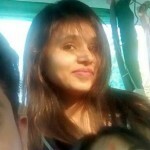 Here comes a common mistake of blow drying that we usually commit. Most of us always blow dry very wet hair. Whatever the reason, you should always remember to avoid blow drying hair which is too wet. It is highly recommended to towel dry your hair first, as it will help in keeping your hair from stretching while blow drying. This will prevent hair breakage, reduce the time it takes to dry hair and also won’t allow good absorption of hair protectors and leave-in conditioners. As soon as you start blow drying your hair, please check the temperature of your blow dryer. It is recommended to start blow drying with low heat setting on the hairline and roots and then increase the temperature slowly while you reach the ends and tips. This trick will help in the easy detangling of the hair and will also prevent excessive drying of hair. Constant movement is very essential in blow drying, so do not hold the blow dryer directly on one spot for long as you can run the risk of frying and damaging your hair. It is also important to not hold the hair dryer very close to your hair as it will give a brittle look to the hair. Did you find this article helpful? Do leave your comments below. What Is The Curly Girl Method? How Can You Follow It? By making a few changes in your hair washing and drying routine you can see an improvement in your hair within a few weeks. So, here are the best shower tips that you can follow to keep your hair healthy and happy! Read on.